The initial poll of the peanut gallery seems to be that last weekend’s UFC 208 event was not a great card. It left a bad taste in many a fight fan’s mouth. Fortunately for the UFC, it quickly has an opportunity to redeem itself with yet another edition of its Fight Night series. Those feeling let down by overall lackluster fights at UFC 208 can look forward to fights at UFC Fight Night 105 that feature fighters known for exciting performances, including Derrick Lewis, Travis Browne, Johny Hendricks and Hector Lombard. The main event features the aforementioned Lewis and Browne, who somehow is always able to finagle himself into an important fight. Lewis is shooting up the ladder in the UFC heavyweight division, and if he finishes “Hapa” in this fight, then he has to be on the very short list of heavyweight title contenders. 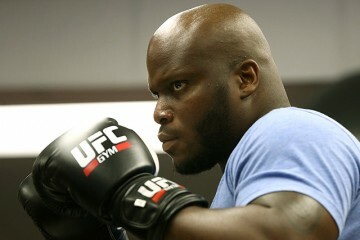 Will “The Black Beast” formally announce to the world that he’s ready to terrorize the UFC heavyweight champion, whomever that might be? In the co-headliner, former 170-pounder Hendricks will attempt to overcome his prolonged battle with making weight by competing at 185 pounds against Lombard, who’s still attempting to live up to the hype that preceded his arrival to the UFC a few years ago. 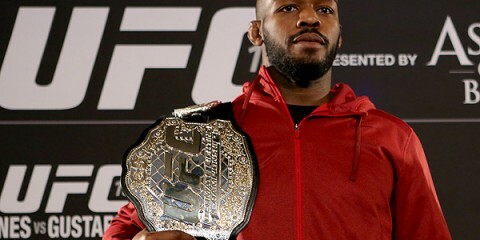 Will the winner of this fight finally get his career back on track? Is the loser basically a dead man walking? The card is filled with other names recognizable to fight fans, including Elias Theodorou (he of the impressive, unmatched, flowing locks of hair), Carla Esparza, Sam Sicilia and Paul Felder. The UFC Fight Night 105 main card begins at 9 p.m. on Sunday, Feb. 19, on Fox Sports 1. The UFC Fight Pass preliminary card starts at 6:30 p.m. ET and the Fox Sports 1 preliminary card starts at 7 p.m. ET. So, without further ado, Combat Press writers Chris Huntemann and Dan Kuhl are here to get you ready for the action in this edition of Toe-to-Toe. 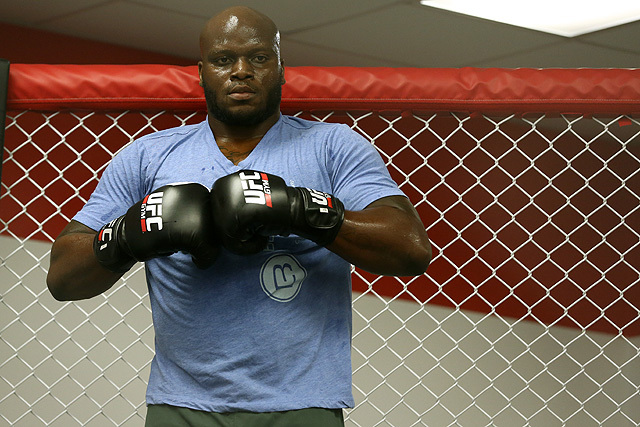 Can Derrick Lewis prove he’s a true contender in his headlining match-up with Travis Browne? Will this fight be a barn-burner or a dud? Kuhl: Lewis is a wrecking machine, something he has proven time and time again. The guy has 15 knockout wins in 22 fights, and he has only been stopped twice. His lone UFC fight to go the distance was against Roy Nelson, who is nearly impossible to stop. Lewis took that one by split decision. Browne has 14 knockout wins in 24 outings. Even though he has been on the skids, dropping four of his last six fights, his last four losses were all to former UFC heavyweight champions. Lewis is a true contender. If he can stop Browne, then that will boost him even further up the rankings. “Hapa” needs a win badly to stay relevant. Otherwise, with up-and-comers slowly creeping in, he could be nearing the chopping block sooner than expected. This one is absolutely teed up to be a serious barn-burner, and someone is likely going to sleep. I’m going to side with Lewis on this one. He has a ton of momentum, and he is more than just big. He is a resilient killer. Huntemann: This fight will be the official coming-out party for Lewis. He’ll take out the UFC heavyweight division’s resident gatekeeper in relatively easy fashion and officially cement himself as a title contender. Right now, Lewis and Francis Ngannou are the two scariest guys at heavyweight, and possibly in the entire UFC. Not many guys have what it takes to dethrone Stipe Miocic for the title, but Lewis and Ngannou both come awfully close. There’s just no other way to put it. They are both knockout artists who can and will take their opponent’s head off. Ngannou proved how scary he was when he knocked out Andrei Arlovski in the first round last month. I don’t think Browne stands much of a chance here, frankly. He’ll suffer a similar fate against Lewis. With Miocic lined up to face Junior dos Santos for the heavyweight title later this year, the best-case scenario would be for Lewis to finish Browne quickly and line up a No. 1 contender bout against Ngannou. A fight between Lewis and Ngannou? MMA Twitter would explode in a collective joygasm if that fight happened. This card is packed with middleweights. Johny Hendricks is set to make his 185-pound debut against Hector Lombard. Cezar “Mutante” Ferreira takes a three-fight winning streak into his bout with Elias Theodorou, who has gone 4-1 through five UFC outings. Meanwhile, Jack Marshman, who enjoyed a win in his Octagon debut in November, returns to action against Thiago Santos. Which three middleweights will emerge with victories, and will any of them rise to title contention in 2017? Huntemann: I’ll rattle off my three picks right now: Lombard, Theodorou and Marshman. Now, I shall explain my reasons for each one. I’m not really picking Lombard because he’s noticeably better than Hendricks. Right now, both guys are on about even footing in my book. But ever since Hendricks lost the welterweight title to Robbie Lawler, I see a guy who doesn’t really seem to want to fight anymore. He’s lost three in a row — albeit to tough competition, including Stephen Thompson — but I don’t see the same fire or passion when Hendricks steps into the Octagon. Lombard hasn’t won a fight since 2014 and was brutally knocked out by Dan Henderson in his last bout. But he’s still had moments where he looks like the dangerous Lombard so many people thought he would be when he first came to the UFC. So that’s why I picked him. It was a tough choice between Theodorou and Ferreira, but “Spartan” will prove to be Ferreira’s toughest challenge to date. Theodorou only has one loss in his entire career. Without diving into any technical minutiae, I just like his chances against Ferreira. Santos has suffered back-to-back first-round losses, and his snowball of despair will keep on rollin’ down the proverbial hill. Marshman has 13 knockout wins in his career, and he has won his last four fights via finish. He’ll puts Santos’ lights out. As far as the second part of this question goes, the middleweight division is still so top-heavy. We need to figure out who emerges from a pack of contenders that includes Yoel Romero, Ronaldo “Jacare” Souza, Luke Rockhold, Chris Weidman and Gegard Mousasi. There’s just no room for anyone else at the top right now. Kuhl: I definitely agree with my colleague in many respects. Theodorou is the most likely to win of the three, and he has a very bright future in the UFC. Lombard may have had a long layoff, but he is a wrecking machine looking to redeem some tough losses. The main issue that Lombard will run into is that Hendricks is fighting at his natural weight now, so he may be loose and ready to scrap. Hendricks doesn’t really have anything to lose at this point, and that’s dangerous coming from a guy with heavy hands. I’m not totally sold on Marshman yet, but he does have a promising future. At the end of the day, Santos could just as easily throw down a redemption win. However, I do not believe any of these guys will be in any form of title contention in 2017, barring a short-notice replacement win against a big middleweight name. But there is one middleweight that seems to have been forgotten. The fight that kicks off this card features a much overdue Gerald Meerschaert taking on Ryan Janes. Meerschaert is a 10-year veteran of the sport, and he’s only 29 years old. He’s only lost once in the last four years, and that was a decision loss to Sam Alvey, who’s making big waves in the division. The Wisconsin native has finished his opponents in nine of his last 10 wins. He is on a six-fight winning streak as he faces Janes, who has only lost once in his 10-fight career, and that was also by decision nearly eight years ago. I don’t think Meerschaert or Janes will be in title contention in 2017 either, but out of everyone at middleweight on this card, Meerschaert has the best chances of making a title run down the line after he beats Janes by knockout. Strawweights Carla Esparza and Randa Markos are fighting on this card, but most fans won’t see it because it’s on the prelims. Why would the UFC bury this fight so far down the card? Kuhl: I don’t know if I would go so far as to call it “buried.” I don’t agree that it should be higher up either. 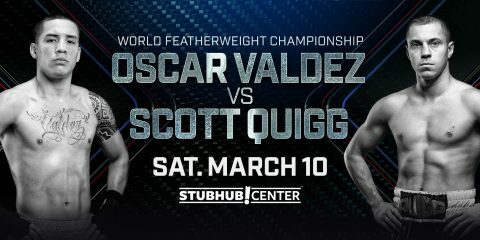 It’s the second-to-last fight on the Fox Sports 1 prelims, which is the same channel as the main card, so it’s still free access, and, frankly, it’s a sort of meaningless fight for Esparza and a bone throw for Markos. The burning question here is: how did third-ranked Esparza, a former champ whose only UFC loss is to the current champ, end up fighting unranked Markos, who is only 2-3 in the Octagon? The fight is exactly where it should be on the card, but it’s unfortunate for Esparza to sit back and watch the rest of the top 15 get good match-ups while she should be one fight from a title shot. No offense to Markos, a game fighter, but she is one loss away from getting dropped. This is just a really weird match-up. My assessment is going to be brief. Esparza will completely neutralize Markos with her superior wrestling and take this one the distance for a unanimous decision. This was a big miss by the matchmakers. Huntemann: I don’t necessarily disagree with my colleague’s logic. If Esparza was fighting a more established name — say, a Rose Namajunas or Claudia Gadelha — then yes, her fight should be on the main card. But Markos has split her five UFC fights, with her two victories coming against fighters who recently retired. Esparza is still getting back into a groove after going through shoulder surgery, so I have no qualms with where on the card this fight takes place. Markos doesn’t necessarily do any one thing really well. She’s just a solid fighter, but nothing spectacular. Even though Esparza was demolished by Joanna Jędrzejczyk for the strawweight title, as we’ve seen, she hasn’t been the only one to feel “Joanna Violence’s” wrath. 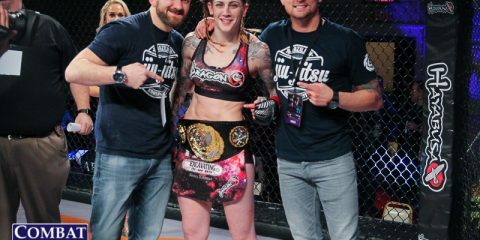 But Esparza won the first UFC strawweight title on The Ultimate Fighter for a reason. She has a great mix of stand-up and ground game that should help her easily get the job done against Markos. Esparza wins this fight rather convincingly. Kuhl: As I said earlier, the fight I’m most excited about is actually the very first fight on the card. Gerald Meerschaert is a young veteran with a ton of stopping power and a big future ahead, and Ryan Janes is a Canadian grappler who’s fighting on his home turf. Both of these guys are under-the-radar middleweights who are ready to make a big name for themselves. This should be a great fight. Huntemann: I really think Jack Marshman has a chance to land a highlight-reel knockout against Thiago Santos. As I said earlier, Santos has lost back-to-back fights in the first round. Well, Marshman has 13 knockouts in his career. Not to stereotype, but Marshman just looks like a hard-hitting Welshman. I like Marshman’s chances of pocketing a “Performance of the Night” bonus in this fight while stealing the show with a memorable finish. Huntemann: A good glass of scotch. This card has multiple fighters competing who are familiar to fight fans. So you can enjoy that feeling of familiarity as you cozy up with the brown liquor of your choice and relax to watch some enjoyable fights. Kuhl: It’s Sunday night, and, as a typical nine-to-five guy, I’m not going to get too crazy. Granted, that’s going to be tough, as this card has the ability to showcase fireworks with the big men, a ton of middleweights and a good dose of the ladies as well. It’s in Halifax, Nova Scotia, Canada, so I’m thinking some good smoked salmon and raw oysters will make for an interesting contrast in flavor and texture.